CLEBURNE, Texas – Eight Centenary baseball players garnered All-Conference accolades, as announced by the Southern Collegiate Athletic Conference at the site of the Conference Tournament Thursday, May 3. In addition, Gents Head Coach Mike Diaz won SCAC Coach of the Year honors for the third time in four seasons. Three Diamond Gents appeared on the First Team in freshman Chris Haggard as a designated hitter, senior Cole Lavergne as a relief pitcher, and junior Matthew Devillier as a starting pitcher. Second Team All-Conference distinction went to senior Chris Zapata as a catcher, sophomore Cody Crowder and junior Cameron Guin as outfielders, and senior Kaleb Kirk as a starting pitcher. Freshman Peyton Cormane was named to the Honorable Mention squad. Haggard, the only freshman to be named to the First Team, finished second on the team with a .350 batting average. He also finished the season with 18 runs scored and 15 RBIs. Against Austin College on April 21, he hit his first collegiate home run to the porch in left in Shehee Stadium. Devillier also grabbed First Team honors after finishing the season 5-3 with a 2.17 ERA, the fifth lowest in the SCAC. In conference play, Devillier proved to be even more dominant, going 4-1 with a 1.64 ERA, third lowest and tops among starting pitchers. In the second game of a doubleheader against Austin College on April 20, he walked only two batters in a nine inning no-hitter – the first Gents no hitter in 23 years. He also grabbed two SCAC Pitcher of the Week honors and was named to D3Baseball.com’s Team of the Week for the first time in his career after his no-hitter. Rounding out the First Team honorees for the Gents, Lavergne finished the season 5-3 and ranked second in the conference in both saves (six) and ERA (1.77). In conference play alone, Lavergne finished 5-1 with three saves and a 1.40 ERA in 45 innings pitched. He twice garnered SCAC Pitcher of the Week accolades, most recently this past week. Lavergne threw the final five innings for a save in a 9-3 win against Trinity this past Sunday that clinched an SCAC Regular Season title for the Gents for the second straight season. Also playing first base the majority of the time when not pitching, Lavergne finished second in the conference with a .991 fielding percentage. Zapata and Kirk both were named All-Conference for the fourth time in their Gents career. Kirk finished the season third in the SCAC in wins (eight) and strikeouts (65) while finishing fourth in ERA (2.16). With 31 career wins, Kirk is just one victory shy of tying the SCAC career record. Kirk also sits second in the conference in complete games (three), including this past weekend in the series opener against Trinity on Saturday afternoon, April 28. Zapata hit .286 for the season with 42 hits, 26 RBIs, 24 runs scored, 10 doubles, and five home runs. More impressively, he easily led the conference by throwing out 20 runners trying to steal and had the highest runner caught stealing percentage with at least 20 attempts (.333). Guin and Crowder both were named Second Team All-Conference for the second consecutive season. Guin finished fourth on the team with a .314 average, adding nine doubles, three triples, and a home run. Defensively, he committed only one error in center field with 80 putouts and a .988 fielding percentage. Crowder led the team in batting average (.373), hits (50), RBIs (27), and doubles (15) – also leading the conference in the latter category. Finally, Cormane received Honorable Mention All-Conference honors after leading the SCAC with 27 stolen bases, three more than his nearest competitor. That gap widens to nine (over fellow All-Conference honoree Crowder) when considering just conference play. Diaz was named SCAC Coach of the Year for the fourth time in six years. Centenary finished the season 24-14 overall, but 15-3 in SCAC play to win its third outright Regular Season Conference Championship in the last four years. Centenary currently leads the league in stolen bases (97), fielding percentage (.968) and shutouts (seven), and the Gents’ pitching staff posted the best ERA in the league during the regular season, allowing just 2.48 earned runs per conference contest. In the 2018 SCAC championship game on Sunday, May 6, the Gents pulled within 6-4 after spotting the Bulldogs six runs but could climb no closer as Centenary (26-16) fell to #13 Texas Lutheran (34-9) 8-5. Following the contest, senior Chris Zapata, junior Matthew Devillier, and freshman Chris Haggard were named to the All-Tournament team. 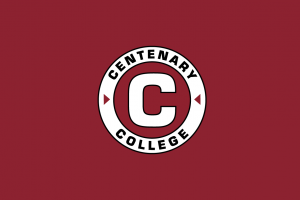 For more Centenary athletics news, visit gocentenary.com.